Have you had tabouleh salad in Middle Eastern cuisine? Bulgur is the main ingredient in tabouleh. Bulgur is an ancient grain that is made from mainly durum wheat. It has high amount of fiber, vitamins and minerals compared to refined grains. In supermarkets, it is usually sold parboiled or pre-cooked, which reduces cooking time as little as 10 minutes. The process of pre-cooking is done through steam and hot air, thus the nutrition value of the bulgur can be preserved. 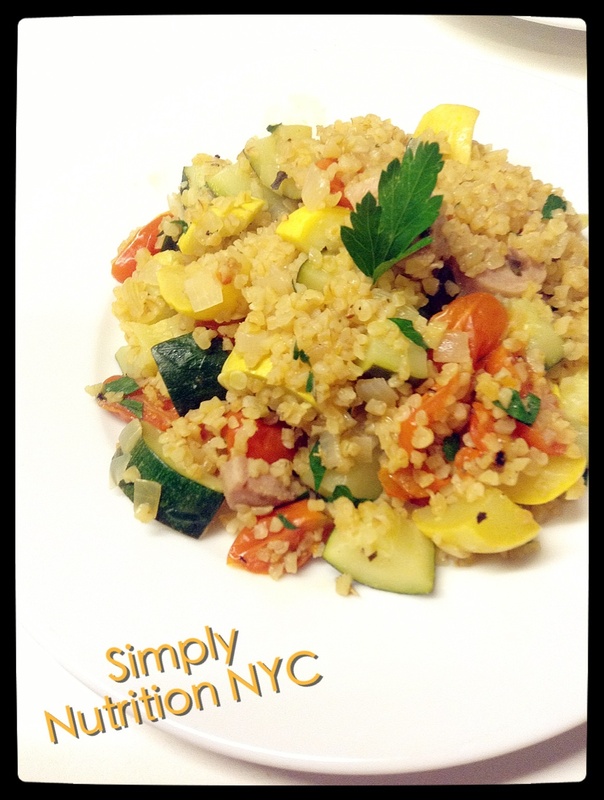 1/2 cup of dried bulgur yield almost a cup of cooked bulgur, which has about 150 calories, 8 grams of fiber, 6 grams of protein. 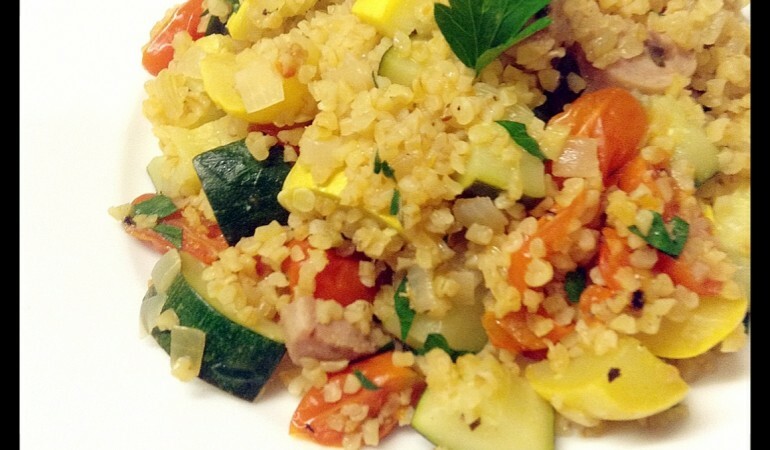 Bulgur is a very good source of fiber, protein, iron, manganese and magnesium. 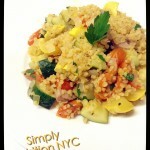 Incorporate bulgur, this healthy and nutritious grain in your meals today! 1. In a medium saucepan boil 1 cup of water or broth. Add bulgur to boiled water and let boil for 8 minutes. 2. In a medium saute pan, heat oil and add onion. Saute for 3 minutes and add sausage. Cook for 2 minutes and stir in all vegetables. 3. When the squash starts to soften, add all seasonings and stir for 1 minute.